PALM BEACH, Florida – In the wake of Jeb Bush’s announcement that he’s actively exploring a run for president, radio host Rush Limbaugh revealed what he calls the “perfect ticket” to win the White House in 2016. Limbaugh did not say he was supporting the ticket, but selected their names based on recent trends in American politics of the two major parties being so similar on key issues. “This is a ticket made in heaven. I can’t recall a time in my life when a presidential and vice presidential candidate are so close to each other,” he explained. “And by the way Barbara Bush loves Bill Clinton. Says so publicly. … The Clinton family and the Bush family are very tight. They are very close. There is never a negative or critical word uttered by a Bush of a Clinton or of a Bush by a Clinton. 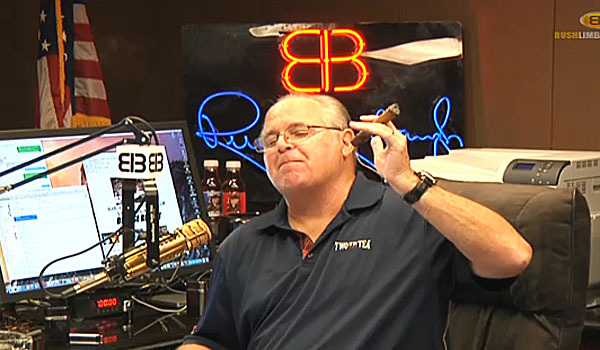 On Tuesday, Limbaugh said of Bush’s likely GOP run, “He’s … being looked at as savior by the big-money donor class and the consultant class – the establishment of the party – to head off the tea party. They’re gonna pull out all the stops to make sure that a tea-party-type conservative doesn’t get the nomination. “The Republican Party is dominated now by what is called in the parlance of the day, the donor class … the big, big donors,” Limbaugh continued. “So when you hear Jeb, or anybody else, seek the Republican nomination and start talking about doing it without winning the base … they’re trying to all come up with a way to win the party nomination without owing anything to the tea party. Their wildest dream is to render the tea party, conservatives an irrelevant factor. The ballot box is broken…the parties have done exactly what George Washington warned about in his farewell address. The Politicians no longer are accountable to the people who elect them, only to party loyalty. The Republican Party and the Democratic Party have very little difference between them now, they both desire power, power over the Government, power over Taxing and power over the People. I have very little confidence that we’ll be able to pull out of this mess, we still have about 40% of the people asleep that see no problem. 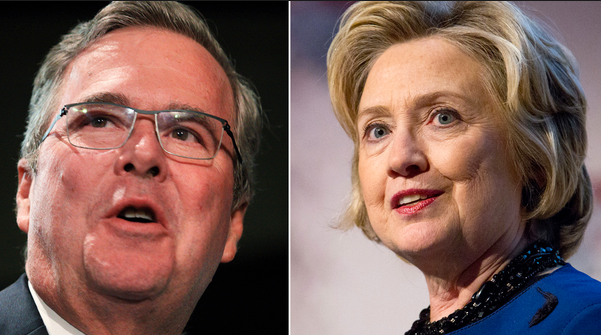 Show me the difference between Hillary, and Jeb. The only difference I see is one has a D by their name and the other has an R. They believe in the same Progressive policies that have put us in the position we are in now. They both want to control Education, they both want Amnesty, they both want control and power. God help us.